Independence Day, America’s National day is made for picnics, fireworks, and hamburgers (veggie OK). Some people associated the day with baseball, but my first memory of the federal commemoration of the Declaration of Independence is of a carnival. The Annual Southampton Days Fair in Bucks Country, Pennsylvania was a rowdy conglomeration of live music, midway games, temporary rides, funnel cake, Bingo, a car show, and something strange called a Baby Parade. It doesn’t get more American than an inability to edit excess! This year feels particularly memorable with the recent SCOTUS ruling on marriage equality. Yes, the country still has some issues. But, it has been said “democ­racy is the worst form of gov­ern­ment, except for all the oth­ers.” I feel proud to be a citizen of the United States. 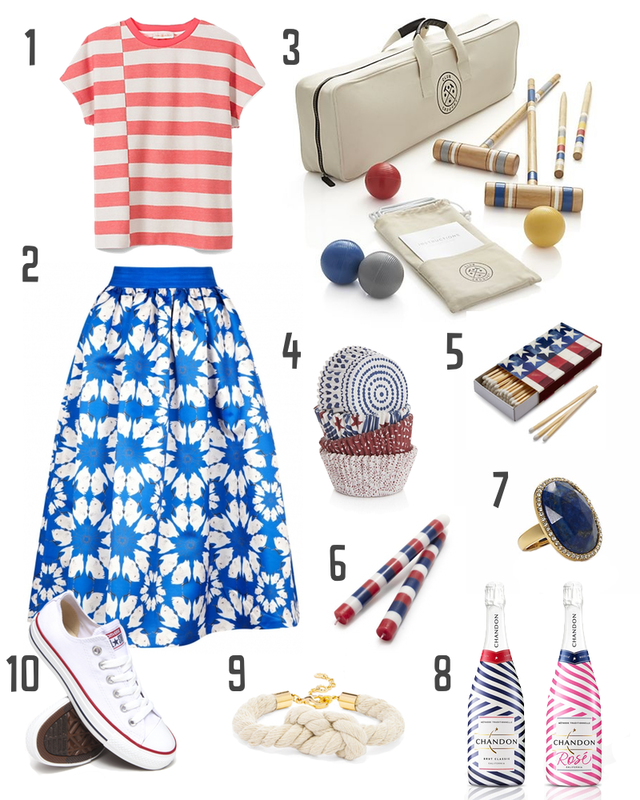 And what better way to show off that pride than with themed picnic gear and a flag-inspired fashion color palette?